Health and social care judges have selected this year’s category finalists for the 2018 Suffolk Care Awards. The Suffolk Care Awards recognise excellent care practice in Suffolk and highlight the important job that high-quality carers and innovative care providers and companies in Suffolk do every day. This year’s 28 category finalists are from: Ipswich (10), Bury St Edmunds (4), Lowestoft (2), Bungay (3), Felixstowe (1), Haverhill (2), Mildenhall (3), Framlingham (1), and Saxmundham (2). They all go through to the Awards final being held on October 4 at Gresham’s in Ipswich when the winners of this year’s 10 categories will be announced. Launched in February, entries for the Awards closed in March, after which applications were shortlisted and verification visits to entrants were carried out. A team of care sector professional judges, from both private and public-sector organisations met in June and July to select the category finalists announced today. This is the third year the Awards have been held. Two Suffolk health and social care organisations host them – Care Development East (formerly The Suffolk Brokerage), a not-for-profit organisation based in Needham Market promoting care excellence, and the Suffolk Association of Independent Care Providers (SAICP), a membership organisation involved with good care practice. Commenting on the Awards and the category finalists selected, Liz Taylor, Chair, Care Development East, said: “The number of entries we received this year was, once again, very good and we believe that this demonstrates the value the sector sees in getting the message across, through these awards, that high-quality care practice is being delivered in Suffolk. 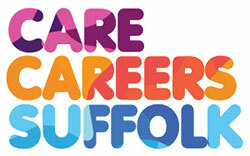 “What has shone through this year is the enthusiasm and passion for caring and care in Suffolk. There are some great examples of care providers and individuals who have gone above and beyond the call of duty. A culture that promotes innovative and creative ways of incorporating dignity and respect into all aspects of people’s lives. BAYLHAM CARE CENTRE, IPSWICH: This care home believes that to treat someone with dignity and respect they need to understand who they are as a person and what is important to them. They say it is vital to see things from their residents’ perspectives. An example of this is a series of dignity training days where staff were encouraged to try on continence products, and to wear them throughout the training exercise to appreciate the discomfort and embarrassment some residents might experience. MILDENHALL LODGE, CARE UK, MILDENHALL: The home was recently rated Outstanding by the Care Quality Commission for its personalised care. The whole team has signed up to the Home’s Promise, a personal pledge to residents to provide the best care they can. Across the team, judges found high levels of care and attention given to residents’ wishes. For example, despite living with advanced dementia and limited mobility, a resident was able to join his family on a trip to Italy to visit relatives. The team carefully planned his trip in consultation with his family and undertook the relevant risk assessments and agreed a plan so that he could be accompanied by a carer from the home, and the trip went ahead successfully. A new initiative, set up last year, called the Twilight Club recognised that residents living with dementia often have irregular sleep patterns. So residents are invited to stay up, enjoy a hot drink and conversation if they wish. The home has a much-loved adopted dog who has been given the title of Canine Relations Manager. SANCTUARY SUPPORTED LIVING, CLOVER COURT, LOWESTOFT: This supported living scheme has 20 self-contained flats for adults with a range of physical disabilities and was opened in January. The home has been designed to a very high specification. Hallways are wide enough to allow two large electric wheelchairs to pass with ease. Assistive technology has been built into the scheme, which allows tenants – irrespective of their physical disability and independence – to open their own flat front door, access to the lifts, and control their own televisions and other electrical devices. This technology can also be linked to allow tenants to open their windows and to open and close their own curtains and blinds. Encouraging and enabling tenants to achieve new skills is having a remarkable effect. One family spoke about how they have seen a huge change in their daughter’s confidence and self-esteem, after having been very withdrawn at her previous home. The judges are looking for an approach to nutrition and hydration that is thoughtful, innovative and achieves positive outcomes for all. – FORNHAM HOUSE CARE HOME, HEALTHCARE HOMES GROUP, BURY ST EDMUNDS: The head chef regularly interacts with the 73 residents and even asks them for their own family recipes for him to replicate. One lady told him about her wartime favourite – spam fritters – and the next day he made them especially for her. He even insists on working a care shift once a week to make sure he fully understands all the workings of the home and knows each resident. He is also involved in the resident’s initial admission so that he understands what residents need and like. When it was raised that residents found that, when their food reached them the gravy could be cooler than required, a change was made straightaway and the gravy was delivered in an insulated jug. The chef plays a vital role in the health of residents. For example, one resident needed to put weight on but, due to his health, required soft food. The chef knew the resident was a biscuit-lover, so he made him bourbon and custard cream smoothies to increase calorie intake. – HOLMWOOD CARE, BUNGAY: This is a long-established, family run care home. Visitors often comment that the dining room looks like a restaurant. When the décor was updated, residents were involved in the curtain choices and lay out. All residents have an individual food plan. At the top of each plan is a photo of the resident and each plan clearly shows their likes and dislikes, any allergies and a preferred portion size, and the plan is reviewed monthly. A nun who lives at the home asked if she could have meals in her room on Good Friday and said the staff were accommodating. A dementia café is held once a month where anyone from the community can join residents for refreshments, cakes and biscuits. Food is sourced from local suppliers. Each mealtime is seen as an opportunity for social time and pleasure. Diners Club evenings are held regularly when the management team cook and serve a five-course menu with specially-selected wines. Food is not limited to the home. In the summer, the team produce picnics and treats to enjoy in the garden. Residents also enjoy fish and chips in paper from a local chip shop which are often accompanied by a bottle of beer. – SANCTUARY SUPPORTED LIVING, MONTAGUE ROAD NURSING HOME, FELIXSTOWE: This is a residential nursing home with 24 fully-furnished rooms. Each customer has a detailed file specifying all aspects of their care, and food and nutrition is a big part of this. The information is regularly updated. Each morning the chef, who has been in post for eight years and has an excellent knowledge of residents’ needs, goes around the home to explain the menu. Every week the chef holds a baking session. He recently started a regular pub lunch. The home has purchased a range of 1950s and 1960s vintage kitchen cupboards, crockery and a bar for the lounge to help people remember their younger years. The home holds a Sunday lunch and a breakfast club, both of which are open to residents’ families. A donation is suggested which goes towards the residents’ outing fund. The chef has created a new outside area for alfresco dining. A positive approach to end of life planning that recognises the wishes of the individual and is person-centred. – CLEVES PLACE, CARE UK, HAVERHILL: The home has an end of life champion who holds talks, delivers training, holds open evenings for families, and counsels’ colleagues and relatives. She also goes out in to the community to provide comfort and support to extended families of residents. The home has a wishing tree where residents can place their written wishes, and the team pull out all the stops to make sure their wish comes true. For example, one lady wanted to paddle one last time in the sea. The home organised a trip to the beach and wheeled her chair to the edge of the sea. With help, she took the last few steps in to the water. The home said it was an emotional moment for her and her carers. One resident hadn’t talked to her daughters for years, but when they were informed their mother was near the end of her life, they reunited with her. The daughters donated a water feature for the home’s sensory garden to say thank you. The home has created a brochure to give to families giving details of all the contacts they will need to register a death and to organise a funeral. – GLASTONBURY COURT, CARE UK, BURY ST EDMUNDS: All the residents at Glastonbury Court are living with dementia. The home has end of life care plans, one looking at general wishes and needs, and one for final days, including things like whether the person would like to go to hospital or stay in the home, how they would like their room set-up, for example lighting and any music. The staff are also mindful that the care plan can change at any time, depending on the situation. The home has introduced a wishing wall and residents are encouraged to write their wish on a brick. The home will then try and make these wishes come true. The home has created a dedicated space for families and relatives called the Sunset Suite. It has a sofa bed, fridge, toiletries, tea and coffee-making facilities, music centre and is decorated in a calm way. Families are offered meals whilst staying there to enable them to remain close to their loved ones. Staff are offered one-to-one supervision within the first 24 hours following a death, with younger or less experienced staff being given extra support. – HOLMWOOD CARE, BUNGAY: A long-standing, family-run business, at Holmwood Care every effort is made to enable family and friends to be close to their loved ones during their final days. After someone has passed away, staff are encouraged to write their memories and thoughts about that person on a rose paper. This is then sent to the bereaved family with a card. Any member of staff wishing to attend the funeral is supported to do so. There is clear evidence of good communication between staff members, residents and families and friends, and the home has excellent links with health professionals. The home runs a remembrance afternoon where friends and families are invited to “raise a glass” to those they have lost in the last year. At the end of the event, families and friends are given a keepsake bag containing a small candle, a note from the home and packet of forget-me-not seeds. A leader who is inspiring and motivational in their approach, demonstrating honesty and good communication skills so staff feel supported and empowered. – KATY HUGHES, REGISTERED MANAGER, MILDENHALL LODGE, CARE UK, MILDENHALL: The home is part of a chain of care homes. The 90-strong staff team are universal in their praise of her for being an excellent leader and always being positive; they say the home has prospered since she had been in post. She is described as outstanding, caring, innovative, approachable, brilliant and fair. Katy undertakes regular audits, reviewing all aspects of the operation which are discussed in meetings with a view to continual improvement of practice, skills and service delivery. Katy started as a care assistant aged 16 and achieved her management status at the age of 25. She believes passionately in personal development and is wholehearted in her support of any team member who wants to progress and develop. She has introduced a champions scheme with the responsibility of advocating best practice in their designated area of expertise throughout the home. – CHERYL MILLDOWN, REGISTERED MANAGER, PRIMARY HOMECARE, CARDINAL HEALTHCARE GROUP, IPSWICH: A homecare agency which was set up 15 years ago and now has a team of more than 80 care workers providing a service for over 200 people in their own homes. The agency has been recognised as well led by the Care Quality Commission. Being short-staffed can add pressure on the team, so Cheryl involves the team in finding a solution rather than add to their work rotas. The agency employs many overseas staff and Cheryl has developed information packs over the years about the local community, supermarkets, how to apply for a bank account, national insurance number, registering with a GP and dentist, and bus timetables, which helps staff settle in. Cheryl was instrumental in introducing paying mileage and paid travel time, which has helped encourage new staff to join the agency. The judges said Cheryl “keeps the team together and runs a safe service with a loyal team”. – SANDRA O’GRADY, REGISTERED MANAGER, HOLMWOOD CARE, BUNGAY: Sandra is a qualified nurse and midwife. She has been in post as Registered Manager for 15 years and is a co-owner of the business with her husband. She is described as very ‘hands on’ and a driving and dynamic force behind the steering wheel at the home. She makes a point of getting to know every member of staff, and supports flexible rostering, offering reduced hours to facilitate childcare during school holidays. She looks for creative ways to achieve her goals such as allowing residents to use mini-bikes in the lounge which aids mobility and fitness. The home has in recent years achieved significant accolades including being runners-up in the Care Leadership and Care Home of the Year in the National Care Awards 2016 as well as runner up in the Laing Buisson small care provider of the year. Sandra has established a relationship with local school pupils who regularly visit. An organisation or service which has a positive and proven approach to using a range of activities creatively to achieve positive outcomes for those accessing the service. – MILDENHALL LODGE, CARE UK, MILDENHALL: This care home has a can-do attitude. When a relative was overheard saying they would love to take their father, who has severe dementia, on holiday but didn’t think it was possible, the care home worked with the family to plan a villa holiday in Italy. One of the carers from the home went along to ensure that the family were supported. On his return, the resident was full of the fact that he had been on holiday with his family, all his children and some of his grandchildren. Activities are assessed by residents using feedback surveys using ‘happy sheets’. There is a regular voting system and residents voted to have a dog, which was obtained from a rescue centre. All the resident are involved in his care in some way, from grooming to walking, feeding and petting. The home works hard to change the way everyone thinks about activities, seeing it as part of a whole lifestyle and not just a programme. They also offer standard activities, such as bingo and entertainers, but it focuses on finding things that make a difference to the individual. – MILLS MEADOW, CARE UK, FRAMLINGHAM: This home provides for residents who have different care needs. There is an activities forum and some of the activities include ten pin bowling, cheese and wine events, an annual dog show, a relatives’ party, a film club and a gardening club. Music is very popular, and one relative comes in regularly to play classical piano. Anther resident plays harmonica. Art is another popular activity and one end of the cinema area has been turned into a small art gallery. There are links with local school pupils who come in to participate in arts and crafts activities and help in the garden. The home had a visit from the Ipswich Buddhist Centre, which was well received and sparked lots of conversation after the event. – THORNBANK, GREENSLEEVES CARE, IPSWICH: Thornbank believes that activities can assist in combatting loneliness, helplessness and boredom, and activities are tailored to individual interests and wishes. The home’s Care Quality Commission report also recognised the home has a positive approach to activities. One example was a resident with advanced dementia who was living in a locked-in state for six months. Staff knew that music was important to her and, on Valentine’s Day, a singer serenaded her with the song “If You Were the Only Girl”. This broke through her locked-in state, with her immediately responding. She is now having conversations and has a really improved quality of life. Staff also sing to her, and she responds to individual attention. The home has a proactive approach to making activities a part of daily life, such as setting the table for meals, delivering newspapers and post, and light household duties. Each member of staff takes responsibility for leading a club, anything from knitting to a men’s club. The training offered is underpinned by a good understanding and implementation of individual learning styles and varying outcomes. There is also evidence of good use of current practice and thinking. – CHRISTIES CARE, SAXMUNDHAM: This live-in care service recognises that having outstandingly-trained carers will improve its service to carers and clients and allow growth, despite competition. Its induction programme takes place over 11 days and is closely linked to the Care Certificate. There is also a two-day dementia awareness course. Because the organisation works across several local authorities and CCGs, there is an advantage of being able to tap into the developments in those areas and this is incorporated into training programmes. The organisation has thought long and hard about the best way to deliver a package of training support that enables and empowers carers to work intensively with customers. – LEADING LIVES, IPSWICH: All training materials are reviewed every four months, or sooner if there is a legislative change. Each staff member has a continuous personal development file to collate their learning journey and document when courses have been completed and when training needs refreshing. There is also an online learning system and this reports to managers on a weekly basis. Training is seen as a forum for discussion as well as personal development. There is a demonstration of an understanding of individual needs, empathy and compassion. – GATEHOUSE DEMENTIA HUB, BURY ST EDMUNDS: Gatehouse Dementia Hub is a dedicated day service for those with dementia and their family carers, operating lunch clubs, memory cafes, peers support and offering signposting in partnership with other organisations. The main benefit of the hub is being able to access all types of services from different organisations, for all stages of dementia. The service has around 20 service users at any one time. It has strong links with the community. One example is the probation service, located in the same road. One probation officer gives up his time to play guitar for service users. One customer said: “Coming here means that we have been able to find out so much more from people who are genuinely interested and want to help you.” The hub provides activities such as music therapy, holistic therapies and education, and all the services focus on maintaining people’s independence and enable people to live at home for longer. The building has been designed with dementia-friendliness at its heart. – PRINCE GEORGE HOUSE CARE HOME, CARE UK, IPSWICH: The home is putting person-centred dementia care into practice every day in a tangible and unique way. Its dementia-friendly environment has separate areas, including a picnic area, a nursery and a bedroom area with a dressing table crammed full of hats, scarves and jewellery. The home also has its own bar, with darts board and games, and a shop with sweets in old-fashioned jars. The home has been working with the wider community, including a project with Tesco where it has trained the supermarket’s staff to help residents to have a dementia-friendly shopping experience. One resident has a passion for motorbikes, so the home arranged for a local club to come and park their bikes outside residents’ windows. Each resident has a memory box in their room so that anyone can look in the box, take out an object and begin a conversation. – STRADBROKE COURT RESIDENTIAL HOME, LOWESTOFT: There is intensive training for all staff on dementia before they start and on an ongoing basis, and that includes housekeeping, maintenance and kitchen staff. The home has dementia champions who have been through the dementia care coaching scheme. There is an emphasis on relationships with family, friends and the community. This includes small children visiting the home on a regular basis and building long-term relationships with residents. There are different areas with different themes, such as an old-fashioned laundry, a tea shop, a cinema room, a bar, a train carriage, a beach area, fully-enclosed gardens and a quiet room. All night staff wear pyjamas so that it is comforting for residents to understand night and day. Staff show empathy and consideration to residents. One resident liked to take handbags from staff and visitors. Now the home has 20 handbags bought from charity shops around the home which she can collect up. A gentleman who served in the armed forces was difficult with staff when he first arrived. A member of staff worked out that if they saluted him when they came in to the room he became more engaged. This is documented in his care plan. A relative of a resident said the new manager and deputy manager had turned the home around into something wonderful. The placement is one which provides real opportunities for the development of students and the outcomes of the service, as well as the individual. This award can be self-nominated by either the organisation or student, can be jointly nominated, or either party can nominate the other. – CHRISTIES CARE, SAXMUNDHAM: This organisation provides live-in care services and is passionate about careers in care and attracting the best local talent. Engaging apprentices is a new experience for the organisation. The service took on its first two apprentices last year and, as they have found it be positive experience, it is currently interviewing for a third. Apprentices have access to on-line learning and development. Due to their progression, one apprentice has been tasked with coming up with a proposal for improving communication within the organisation and is being supported by an internal management consultant. Neither apprentice had knowledge of the care sector before the appointments. – CLEVES PLACE, CARE UK, HAVERHILL: This is a 40-bed residential nursing and dementia care centre. There is no restriction or limit on learning available to carers within the organisation, including apprentices. One apprentice joined the company at 16 years of age on an apprenticeship placement and is due to embark on her Level 3 diploma. She has become a valued member of the home due to her can-do attitude and her personality, which is described as bright and sparkling and which has endeared her to residents and colleagues. The company only has one apprentice at any one time to ensure they can dedicate enough time and support to maximise the learner’s potential. – LEADING LIVES, IPSWICH: This well-established learning disability service provider has a very structured training department and back office support. Apprentices move around within the organisation’s different service provisions to experience different areas of care and support work. Although not guaranteed, the organisation takes an overview of wanting to employ the apprentice once they have completed their training and as positions arise. Apprentices are offered additional training if they demonstrate an interest in a specific area. Two apprentices had high functioning autism but were able to complete their apprenticeship and qualification with mentorship and support from within the organisation. Both are now employed as full-time support workers and have been able to build empathetic relationships with people they themselves are now looking after. A service that has delivered care and support over and above what would usually be expected and has made positive contribution in supporting service users’ lives. – BAYLHAM CARE CENTRE, IPSWICH: This home is rated outstanding by the Care Quality Commission and is in the top 20 care homes for the East of England. It also won 3 awards at last year’s Suffolk Care Awards. The CQC recognises that the service is led at an outstanding level by a passionate and committed registered manager who was open, supportive and who had superior management skills. It also said there were systems in place to monitor and maintain the high quality of service the organisation offered to people and it saw many excellent examples of positive and caring interactions between staff and residents. Residents are encouraged to decorate their rooms to their own personal taste and there is no set place where meals must be eaten with the overall aim to create an enjoyable dining experience. Senior members of the team have a buddy system within their peer group. They attend training sessions together so anything they are not sure about can be raised. If they have residents who are unsettled at night, staff come to work in their pyjamas. They nominate each other for employee of the month. They become a resident for the day and see how it is from the other side of the fence. – CONSENSUS, REDAN HOUSE, IPSWICH: This is a sheltered housing service supporting eight people, aged 18 to 62, with a variety of complex needs and learning disabilities. The 36-strong staff team ensures residents are part of the community by being involved in various activities such as sailing, swimming, horse riding, music, dancing, drumming, cinema, and wheelchair cycling, football, rugby, basketball and bowling. The service has been a finalist for the British Care Awards and shortlisted for the Suffolk Care Awards and won the special recognition award last year which was relative nominated. One example of care is a resident who has cerebral palsy and other physical disabilities. He is wheelchair bound and unable to communicate. Consensus arranged for the resident to have a communications aid called MOB12 which allows him to express his thoughts, feelings, wishes, and choices. His use of the machine has developed to being able to control his own television, fan, lamp and being able to call the support worker when he needs help. – PRIMARY HOMECARE, IPSWICH: To assist independence is the main aim of the agency and to keep people as happy and safe as possible. The office coordinators have all been carers so know how the job works in the field. The staff team are very stable – most have been working in the agency for many years. The manager has been in post since the agency started and is passionate about care delivery. Feedback from clients are that the agency goes beyond the goals to make the life of the cared for person as positive as possible. One client who was not very mobile had the ambition of walking to a rock on the seafront. With input from care staff he made it and now has a photo proudly displayed on this wall. Another client whose life was his garden was unable to do anything because he could not bend down. The agency helped him organise a local firm to build raised beds in his garden, so he can tend his plants safely. After a training session on scams and frauds, one carer realised that one of her clients was being scammed and was able to inform the family and trading standards. Applications for this award can only be made by users of care services or their relatives/friends. This category is designed to recognise an individual, or organisation, that has made a significant contribution to the sector or a team or one person that has not been recognised elsewhere.